A manual payroll system is performed entirely by hand, whereas a computerized payroll system allows a company to process its payroll via dedicated payroll software. A manual system can result in payroll errors and is usually a slow, laborious process. Computerized systems offer a number of advantages, including increased accuracy and speed. Many employers use a timekeeping system, such as time clock, to track employees’ work hours. A manual system requires tracking employee time by hand, but a computerized payroll system has the ability to automatically transmit employee entries from the timekeeping system into the payroll system. Such a system can separate regular hours from overtime hours worked, although employees may occasionally need to make adjustments. Computerized payroll systems can round employee work hours into quarter-hour segments and accurately calculate the total hours worked and to be paid, thereby saving time spent on manual calculations. These systems calculate all pay frequencies, such as weekly, biweekly, semimonthly and monthly, based upon the input data received. A computerized payroll system automatically calculates employee statutory deductions, such as taxes and wage garnishments, and voluntary deductions, such as parking fees, 401(k) contributions and medical benefits. The payroll person simply enters the data upon which the deductions are based, such as Form W-4 information for federal income tax withholding. A manual payroll system requires you to print paychecks on a typewriter or by hand. 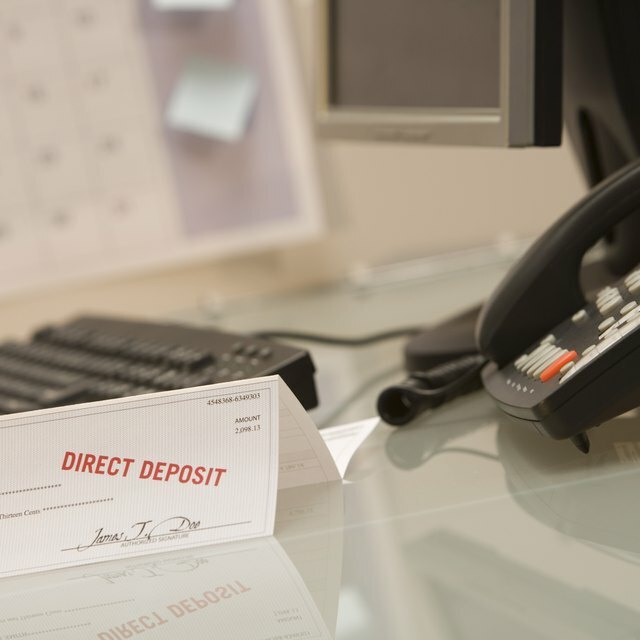 A computerized payroll system has direct-deposit capability, which saves money spent on live checks and reconciliation. Additionally, computerized printing of paychecks and pay stubs occurs quickly, regardless of volume. A computerized payroll system generates payroll reports that allow you to double-check the payroll before printing paychecks or pay stubs. The U.S. Department of Labor requires employers to retain payroll records for at least three years. A computerized system enables hard-copy printing of payroll registers pertaining to each pay period, and also saves the information in the system indefinitely. Computerized systems help ensure payroll tax compliance by generating tax reports, including quarterly and annual wage statements and employee W-2 forms. These systems provide the company's accountants with the data necessary to handle the company’s payroll tax and reconciliation duties and print the necessary reports. Furthermore, these systems track benefit days, such as vacation and personal time, that are taken and paid.